Ideal for home use or when traveling the Over Door Traction Set is a simple and effective device for relieving pain. 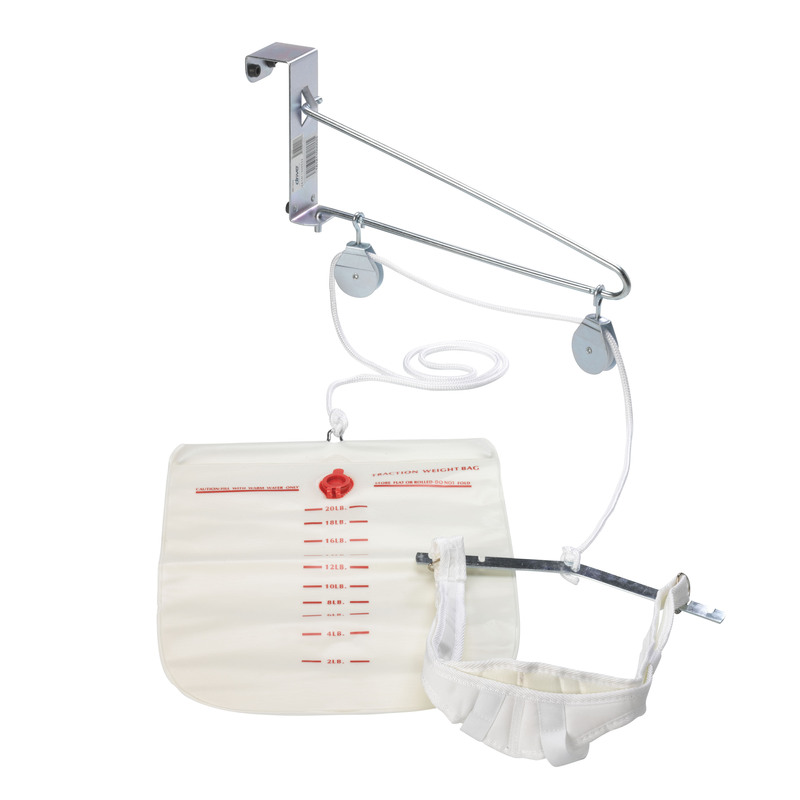 The unit fits easily over the top of most doors while the included water bag lets the user tailor the desired level of traction just by adding the appropriate amount of water. Plus the spreader bar allows you to adjust the halter's width to the ideal position.